Yes, provided you give the starter culture some dextrose to eat and convert to lactic acid. You should also be able to meet the suggested temperatures for the Bactoferm you are using. The fermentation step is the only time that you would need to check pH. I stick the pH probe directly into the meat. 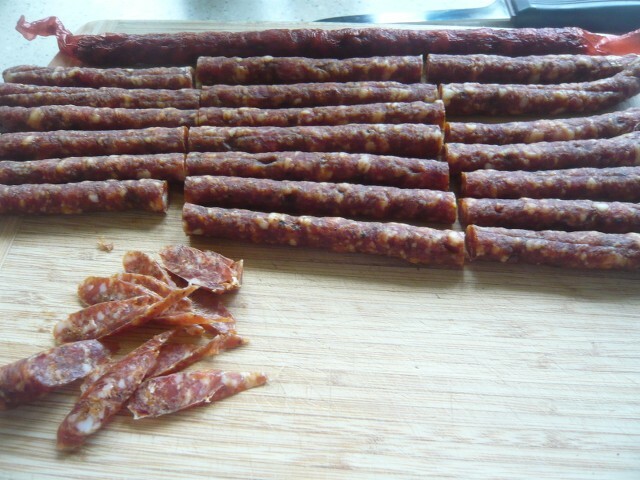 I use some sausage meat left in the stuffer wrapped in cling wrap for the pH check. 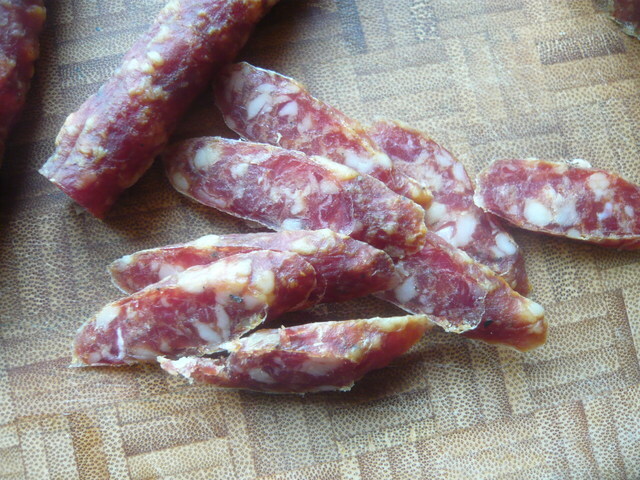 If I only had the cacciatore mix, I would make the sticks in the usual 10-14 days then seal them in a bag and hold them an extra few weeks to give the nitrate a chance to reduce. This process is designed specifically for making salami without a fermentation and temperature / humidity controlled drying chamber. By using sheep casing, this process can be successful with an oven with a tray of water and an unmodified fridge; no special equipment needed. Snack sticks similar to these are sold near the check out in grocery stores for $ 1-2 / one ounce which sends my frugal nature into a price rage. Or maybe an electric coolbox. I thought this would be good, it's not, it's great. 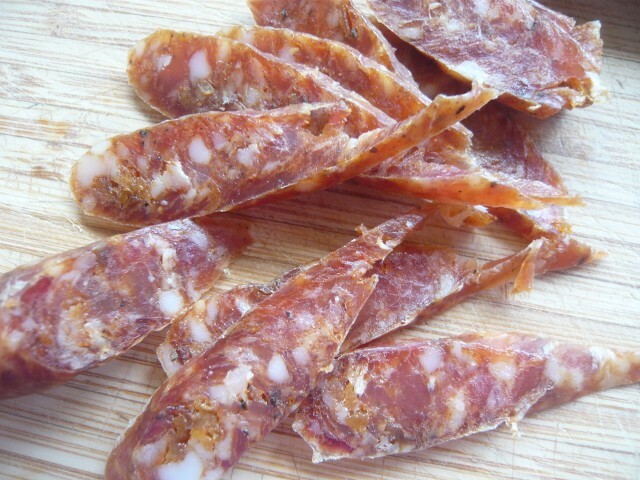 This is my fourth example of incorporating a dried fruit (sterilized) in a dried snack stick and the tartness and sweetness of the apricots really pair well with the paprika and cured meat. I made them by fermenting in my oven with a dish of water and drying them in my beer fridge. Another example of "What grows together, goes together". Question 1, Is the bactoferm the fermentation agent in the sausage? I had thought it was something to be sprayed on the outside, but I'm reading here it is blended in with the sausage. Question 2, Why did you choose to vastly reduce the amount of bactoferm called for in the recipe? 1. Bactoferm mold 600 is sprayed on the outside. 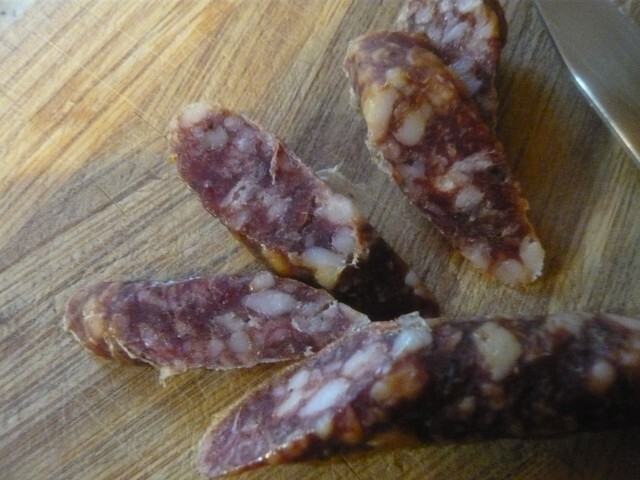 There are 5 other Bactoferm products available to the home sausage maker that are fermentation cultures meant to be added to the meat. Each of these cultures are meant to drop the pH and provide other beneficial properties. 2. The stated usage for the product is 25 grams for 100 kilograms of meat or 0.25 g / Kg. Because the products are not homogeneous, there was a recommendation to use 1/3 of a package to insure that enough of the bacteria made it into the batch regardless of the batch size. I use more than the usage rate but less than the expensive recommendation (I actually use what I scoop out on the end of a spatula). 3. That has been done with mixed results. The Bactoferm products are blends of bacteria of known usage rate for multiple effects on meat. I made a small batch with leftover meat. The lime powder came from King Arthur Flour and not surprisingly they had no guidelines on how much to add to meat. Cold smoked overnight with pecan dust. These dried quickly (perhaps pH related). The chipotle powder gave these a warm savory taste with heat more noticeable later. I thought the lime could be increased but my co-worker thought it was at a good level. Something quick to tide me over while the larger salamis are aging. This will be a good treat this Halloween. 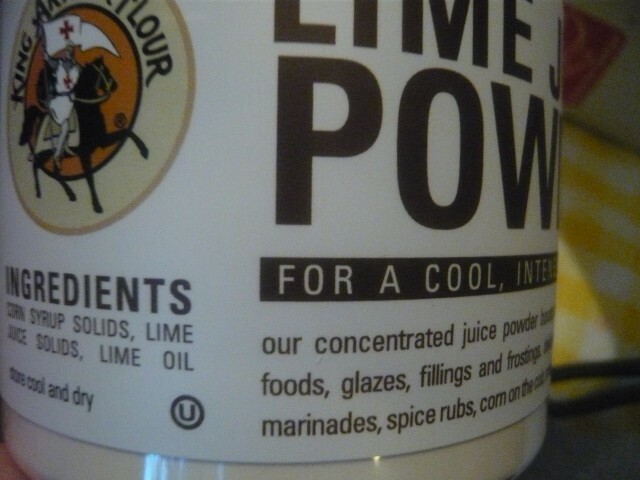 That's the first I've heard of lime powder - how does it affect the taste? The lime is a slight tartness up front. I'd say my guess is a little low on the lime and a little higher on the chili. The products I linked to go for over $ 2 / ounce; I hated to even buy one to taste against. They are a fast growing segment in the retail marketplace. I see four or five brands with 3-5 flavors at the checkout of the grocery store I use with pricing ranging from $ 1 - 2 / oz. Jerky has similar placement and pricing. Thanks Paul. If they can sell it at that price, good luck to them! In South Carolina and in parts of Georgia and North Carolina barbecue sauces use mustard as a base. It is an interesting variation to try and after seeing how much acid was used to make mustard, I thought a snack stick could be made using it without a fermentation step. The initial pH did indeed start from a safe point (even without the cider vinegar that I dropped from the sauce recipe). The first batch of sticks however, seemed to have lost the acetic acid during drying and were a little flat tasting. I also wanted more heat and a more pronounced mustard flavor. I added back a fermentation step to generate lactic acid and also used some liquid smoke flavor as well.